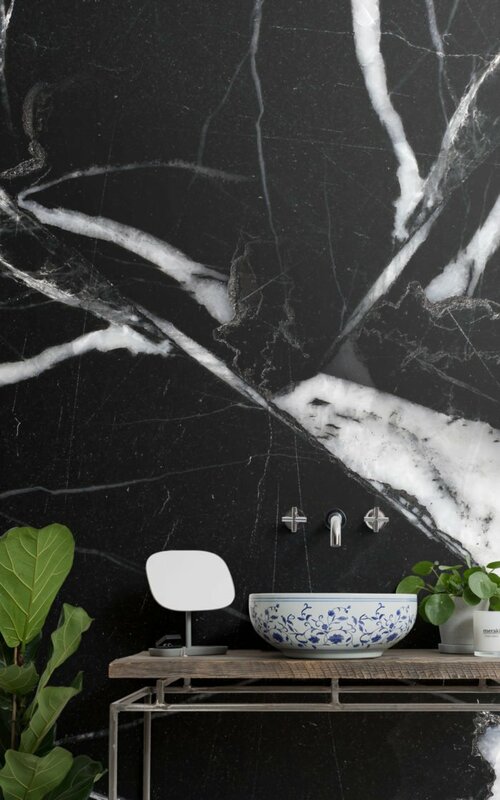 Bathrooms are the perfect little slice of your home where you can let go and allow your inner interior daredevil to take over. 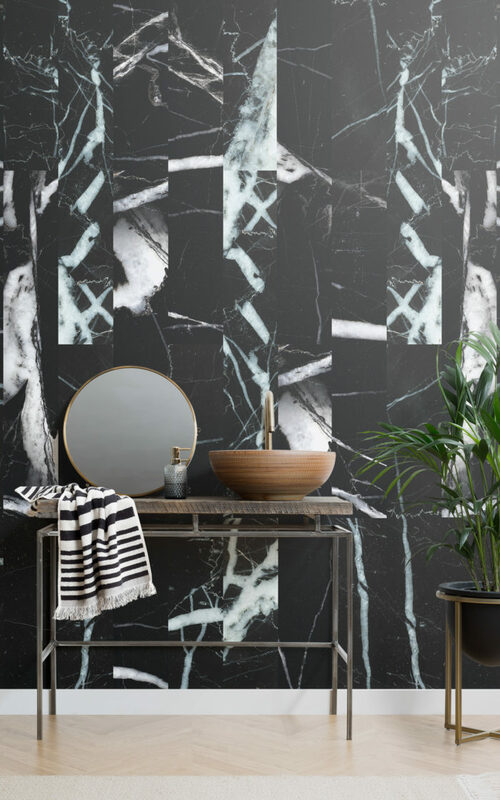 Transform a room that is simply a pass-through area of your home into a truly magnificent space with a dramatic dark wallpaper design, and create a moody bathroom decor infused with a tranquil yet dramatic aura. 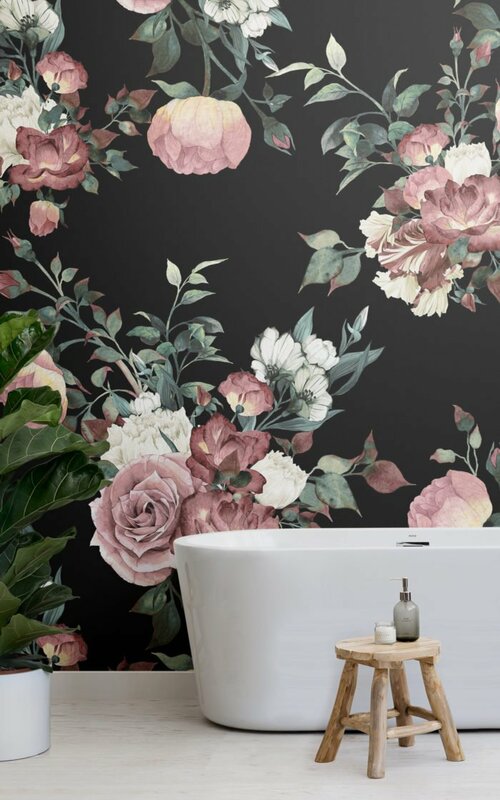 Incorporating a dark wallpaper into your bathroom interiors injects a sense of mystery and intrigue, allowing you to create a space that makes you feel like you’re stepping into a softly lit, spa-like environment. 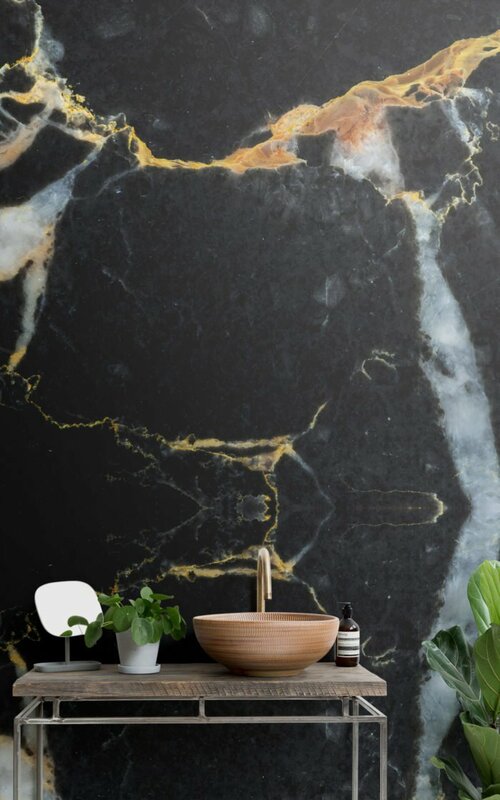 The moody designs featured are perfect for styling a tranquil space that promotes self-care and relaxation, whilst maintaining a touch of interior flair. 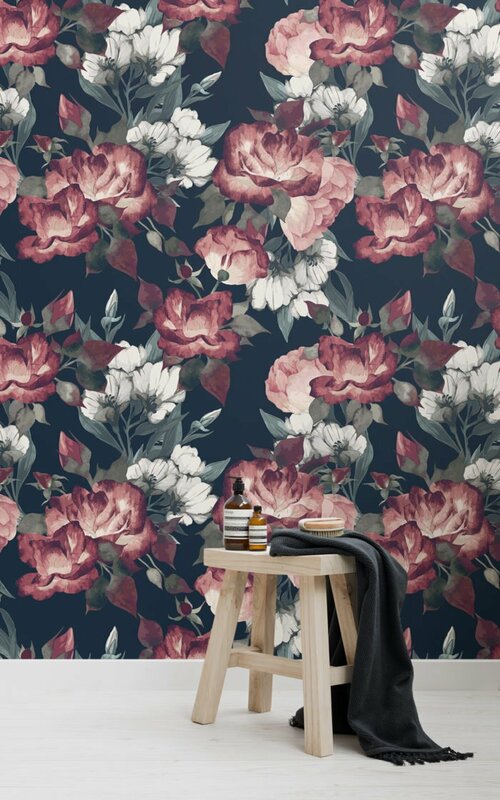 The wallpapers that make up this collection include a mix of black marble effect wallpapers and dark floral designs, both bringing an element of luxury to your bathroom walls. 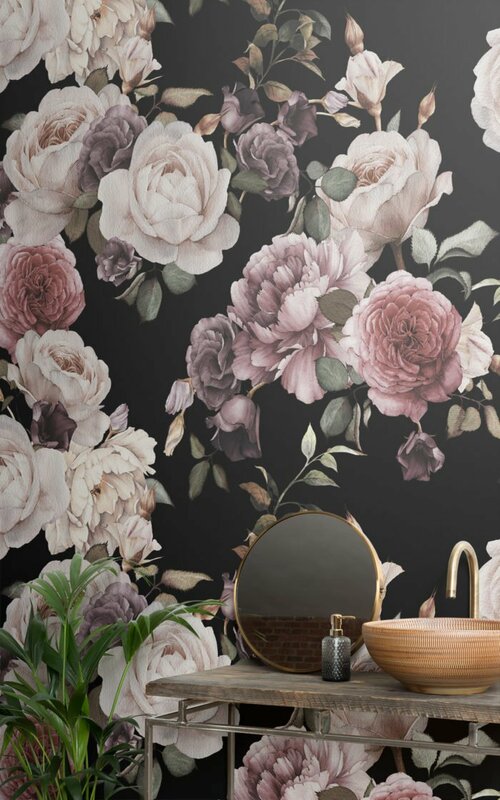 Dark tones will make your bathroom interiors appear more voluminous and harmonious, but you can incorporate some lighter tones through flooring, bathroom furniture, lighting fixtures or accessories to add some contrast. 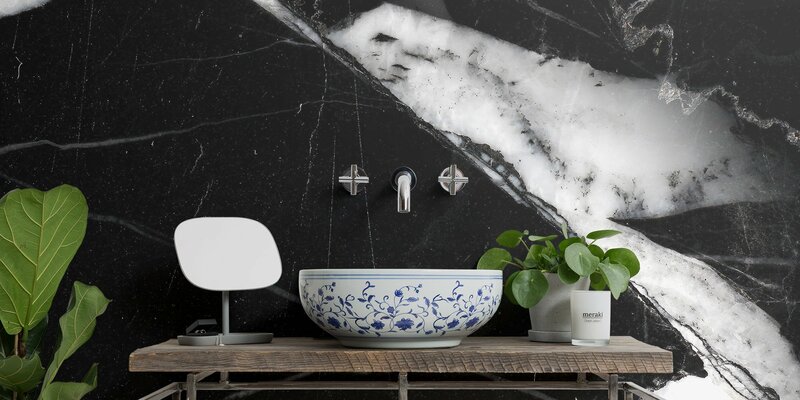 We have styled the stunning dark designs with beautiful basins, vanity units and carefully selected accessories to create a sophisticated focus that enhances the wallpaper feature, and elevates the whole look of the space. 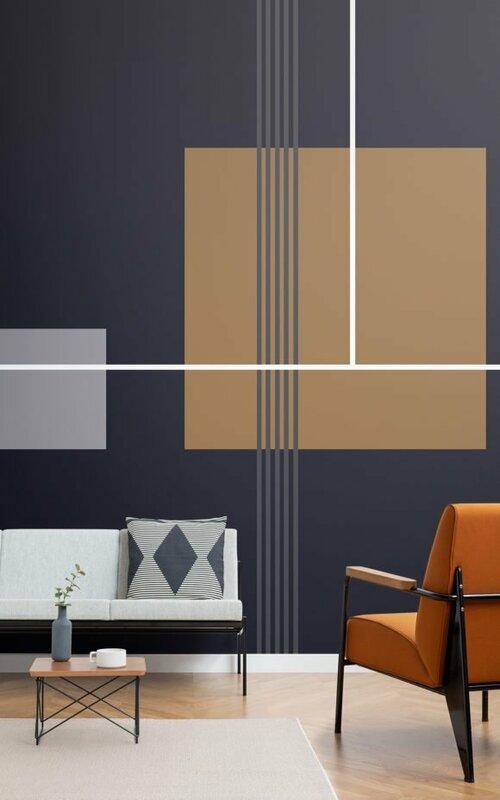 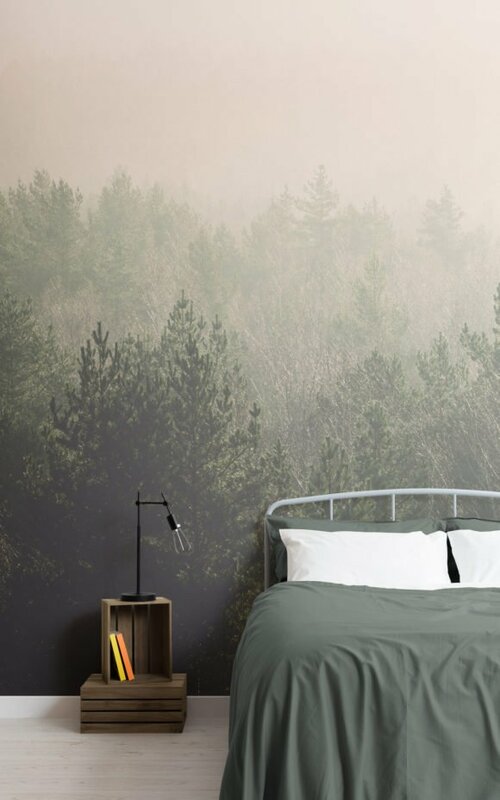 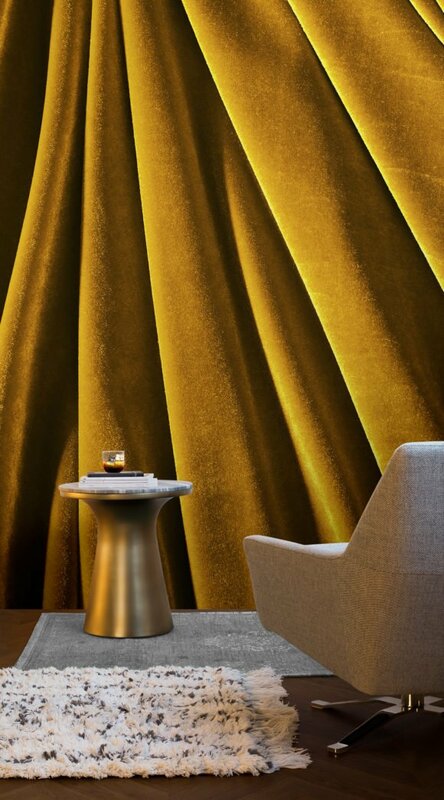 The designs are daring, but the final effect that you can achieve with a bold dark feature wall makes them the perfect option for creating a truly tranquil hidden escape, in the comfort of your own home.